The Northern Colorado Legislative Alliance is the leading voice in northern Colorado influencing local, state, and federal policy on business issues. The Loveland Chamber is committed to creating the most vibrant economic atmosphere for your business, and that means focusing beyond city and county lines. The Loveland Chamber has held this commitment for many years and in fact was a founding partner of the lobbying organization, Northern Colorado Legislative Alliance (NCLA) in 1992. 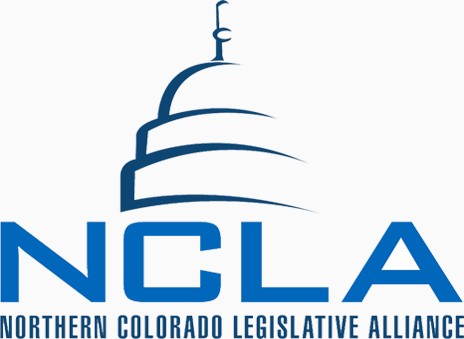 NCLA is the joint public policy advocacy arm of the Fort Collins, Greeley, and Loveland Chambers of Commerce and Upstate Colorado Economic Development Corporation. The NCLA is the leading voice in northern Colorado influencing local, state, and federal policy on issues affecting the unique business interests of northern Colorado. The NCLA is unique in Colorado and nationally. Its mission is to unite and empower the members of the northern Colorado chambers of commerce, Upstate Colorado and Northern Colorado Economic Development Center (NCEDC) with the means to generate a strong voice for positive impact on state and federal policy, regulations, and legislation that affect businesses’ ability to succeed and to help create a more positive business climate for the future of northern Colorado business.